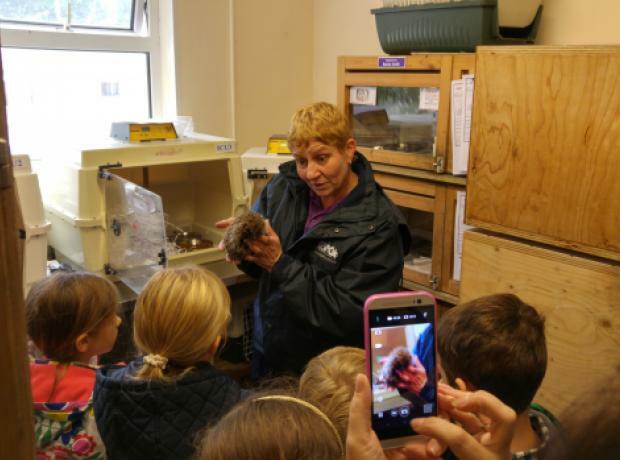 On Saturday GSPCA Animal Care Assistant Cathryn Tyrell gave a lovely birthday guided tour to Emily Bateman who was celebrating her 11th birthday with her friends at the GSPCA. The group started the tour with Cathryn showing Emily and her friends around the Shelter where Emily as the birthday girl got special treatment and met a number of the animals in our care. The tour took the group around the site and behind the scenes finishing with a few surprise gifts and certificates for the group and a party in our events room which can be hired out as an extra. Last week staff GSPCA staff Beckie Smith and Teresa Mourant gave a lovely birthday guided tour to Gemma Bailey who was celebrating her 8th birthday with her friends at the GSPCA. The group started the tour with Teresa introducing Gemma and her friends to Betty the bull terrier who nearly died last year as she wasn't fed enough and fell into a coma. The tour took the group around the site and behind the scenes finishing with a few surprise gifts and certificates for the group.